Belapur village is located at a place where Panvel creek confluences with Thane creek. The local inhabitants of this village were mainly Kolis. After the victory of Vasai, Portuguese captured Saashti Island. 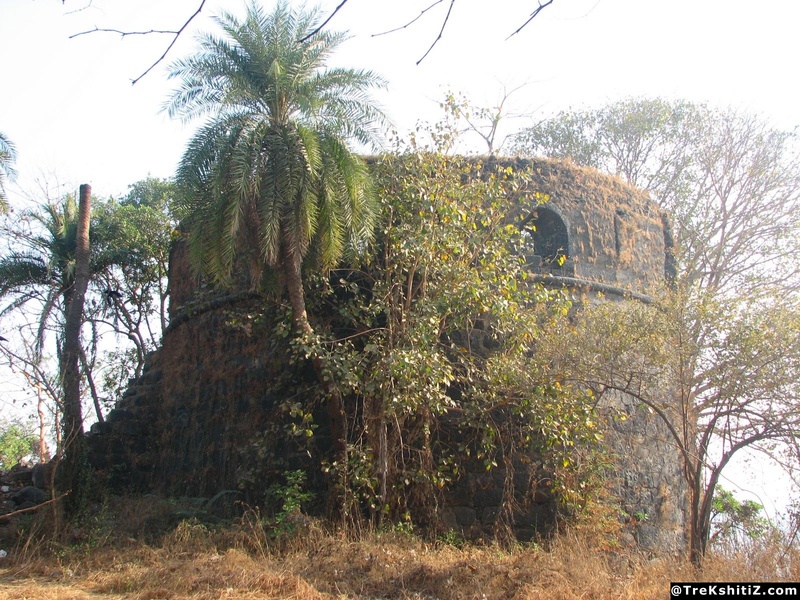 In order to gain a control over the trade through the creek and to protect themselves from the Marathas across the creek, Belapur fort was built. This fort has stood as a testimony to many interesting historical events but sadly today the fort is in ruins, and is on the verge of getting completely wiped out due to the increasing urbanization in Belapur and ignorance of the governing bodies. The citadel of the fort was located at a height of 75 ft. The walls were strong and had 5 bastions and 20 canons. 31st March, 1737: Narayan Joshi laid a siege at this fort and brought the fort under Maratha rule on April 22, 1737. After the battle of Panipat, Manaji Angre captured Sadashivbhau in this fort. 23rd November, 1778: British Colonel Kay captured the fort. However, as per the Vadgoan treaty, 1779 the fort was handed back to Marathas. On 12th April, 1780: British Captain Campbell once again captured the fort from Marathas. However, as per the treaty in 1782, the fort was again handed over to Marathas. Finally on 23rd June, 1817: Captain Charles Gray won the fort back and brought it under East India Company rule. Due to reclamation work on the creek there are hardly any remains of Belapur fort. The only remnants of the fort is the bastion which is on the back side of the Navi Mumbai Municipal Corporation garden. Spiral stairways from the inside takes us to the bastion. The fort wall is completely diminished but the citadel of the fort has some remains. One can also see a two storied minaret. There is also a temple of Goddess Govardhani Mata. This templie is now surrounded by buildings. Other than this, there are two square shaped wells near retibunder and a lake built during the Portuguese era. Regular buses ply from Dombivli, Kalyan, Thane and Mumbai to Belapur. Alight at Belapur fort bus stop. Fromhere, one can go to the bastion near the garden. There is a well paved road that takes us to a small hill towards south which has staircases to go the citadel. The same road leads to retibunder.